Today I'm bringing to you some of the coolest DIY ideas that Pinterest has to offer this week. Not sure about you guys, but I spend an unreasonable amount of time on Pinterest. If I were to calculate the ratio of time spent pinning things versus time spent actually doing any of things I've pinned, it would be downright embarrassing. But I still do it. And in all seriousness, I do hope to actually some of the things I've more now that I have the freedom of being a full-time creative. In fact, I may even do some of these and post about it. Ok now, let's not get carried away. 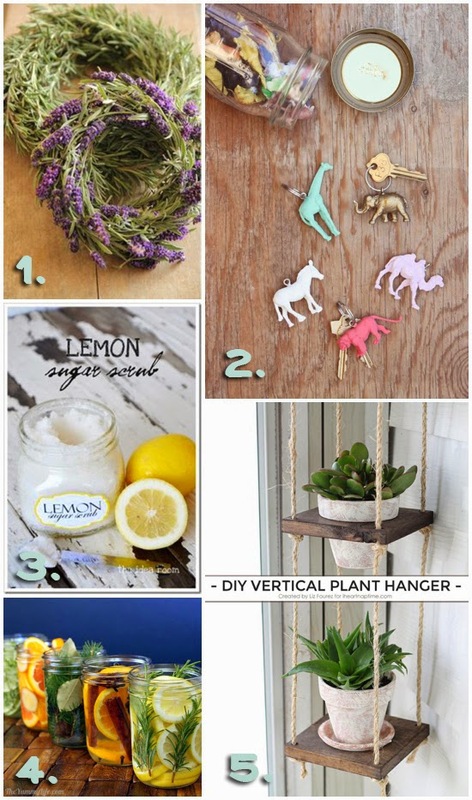 With no further adieu, my top 5 Pinterest DIY picks for this week. Which one is your fave? I'm loving those rosemary and lavender wreaths.